The Anglican International School Jerusalem (AISJ) is a sought-after learning environment known for rigorous study and academic excellence. It is also known as a school with a soul. Here, teachers and students from more than 30 nations learn together about the world and each other in a safe, happy and caring environment where deep mutual respect and love of learning define the school experience. AISJ is a welcoming place serving from a Christian foundation—an institution where learners from diverse ethnic backgrounds, cultures, languages, and all faiths, or none, discover an environment fostering understanding and reconciliation, and where students of all abilities are equipped to contribute to the world as responsible global citizens. Lead the way, every day to deliver the best world-class education. Teach the best methodology available and within the highest standards of Christian ethics and values. Value, care for and encourage all children to learn to the best of their ability and to prepare them to take their place as a world citizen. Value and professionally enhance every staff member. Assist every family to partner in the learning experience of their children within this unique and special location. Students should be encouraged and enabled to realise their full potential. The international nature of our community enhances the learning experiences and social interactions of our students, staff, and families. Parental support and involvement are vital to the realisation of a shared community vision. Effective learning is achieved through stimulating students' curiosity, creativity, and enthusiasm. A spirit of cooperation, coupled with the development of individual study skills, self-discipline, and analytical thinking equip our students for present and future learning. "Every day, in every way, AISJ leads the way." 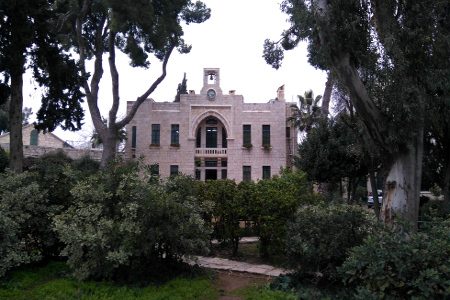 Founded in 1962, the Anglican International School Jerusalem is a pre-school to grade 12. The school is coeducational and serves children of over 30 nationalities. AISJ is committed to the development of the whole child and is founded on Christian beliefs and values whilst respecting the rich and diverse communities within the school and in its unique location. We strive to create a warm and caring environment in which students, families, and staff feel respected and valued. Please visit our main site for more information about the outstanding work of the Anglican International School, Jerusalem.